Mastering Torts offers a clear, doctrinal overview of the law governing compensation for personal injuries and property damages. 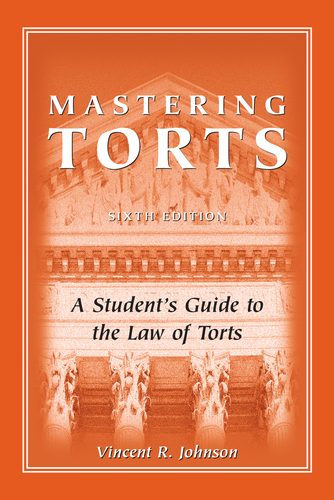 By exploring the basic rules of tort liability, and illuminating their application to specific fact situations, Mastering Torts describes the main features of the American tort system. More than three hundred and fifty cases are discussed. Each of these decisions is briefly presented in a way that probes the meaning and limits of particular rules, but also reveals a broader, policy-based perspective on the law.